Why Send a Christmas Letter When You Can Write a Blog Post Instead? So now, three months later, I would say we’ve gotten a solid C- on our “get ‘er done” list. We’ve been to a few, and only one resonated with all of us. Of course, Tony Campolo was preaching the only Sunday we were able to make it, so that kind of skews the data. But in its favor, the youth pastor and his wife immediately invited us over for dinner (we still haven’t made it over, but not for lack of trying), we were encouraged to participate in the youth events, and Rachel may end up in the pre-K affiliated with the church (more on that later). So why don’t we just call it home? Mostly because there are one or two other churches we’d like to try out before making a selection. My gut tells me, though, that time won’t allow for that and, more importantly, that Rachel will become attached to her classmates whose parents would be our fellow congregants. This has been perhaps our (my) greatest failure. I emailed the admissions director daily. I called often. I begged, I pleaded, I prayed. And Rachel got in. Several conferences, emails, and phone calls later, we are now getting this problem solved. We may end up paying a full year’s worth of tuition at a school with lots of chickens and no Hanauers, but parents have to do what they have to do. Our “solution” is messy: Rachel will now go to TWO schools (because it’s mid-year and all the 3-, 4-, and 5-day spots are full), and have one day home with me. Like I said, it’s a mess. But it can’t be messier than losing the sweetness of childhood in two short months. So, as of today, we go boldly into the confused world of multiple preschools. For the record, we chose wisely for Aaron, and he is happily entertained by someone who isn’t me two days a week. Where, it just so happens, Rachel will also be two days a week beginning Dec. 1st. Just on different days…. Did I say C-minus? Perhaps I meant D+. Yes! Thanks be to Google. Yep, a whole two of them. Sure. Google “Aveda Annapolis” and there’s only one so there you go. The stylists are good, the aestheticians less so, but, you know, the goal was met. Yep, I found a few. But we got really, really lucky with our house and have a spare room to use for…. What? A home gym! Now before you start thinking that sounds super fancy, I promise you it isn’t. When you add together the cost of registration fees and monthly charges of gym membership, a home gym quickly pays for itself. And in inclement weather it’ll be a lifesaver. Also, who actually makes it to the gym when small children are involved? Well, you probably do, but I don’t. Now I have no excuse. 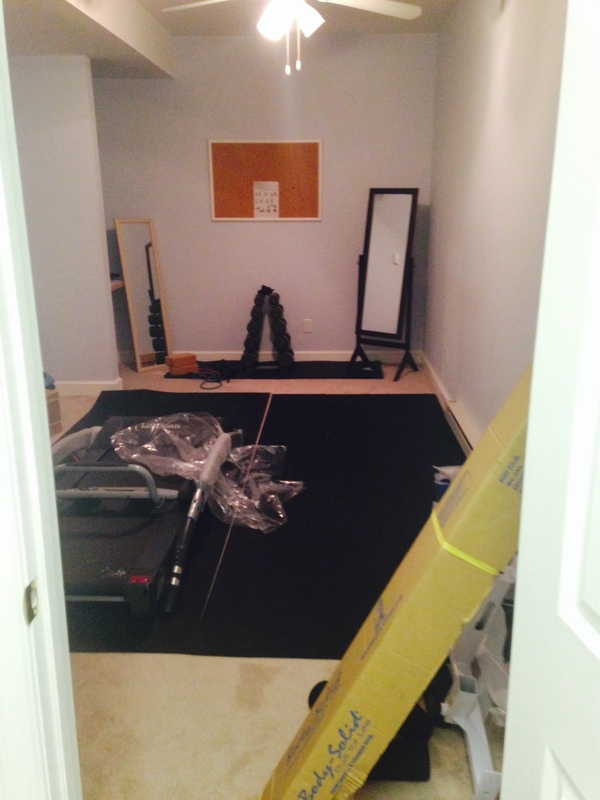 Still need to set up the multi-exercise station and treadmill, but you get the gist. Even Scooby likes it here. We bought a house! As heartbroken as I was to sell our home in California, I must say I LOVE our new house. There are many things tied for first place in the “coolest feature” category, but my office is certainly worth mentioning. Let me just say that again: “my office.” Need I say more? I don’t actually, you know, use it, but I’m hoping to get there some day. Here it is. Note the little emperor ruling the roost. The topic of work is a whole other blog post, but I will say that when one moves twice in two months, and one of those moves is 3000 miles, and there are two little kids to deal with, a big kid to set up in sophomore year, a needy dog, and a husband with a crazy work schedule, “work” becomes a distant second to the immediacy of… well, of everything else. 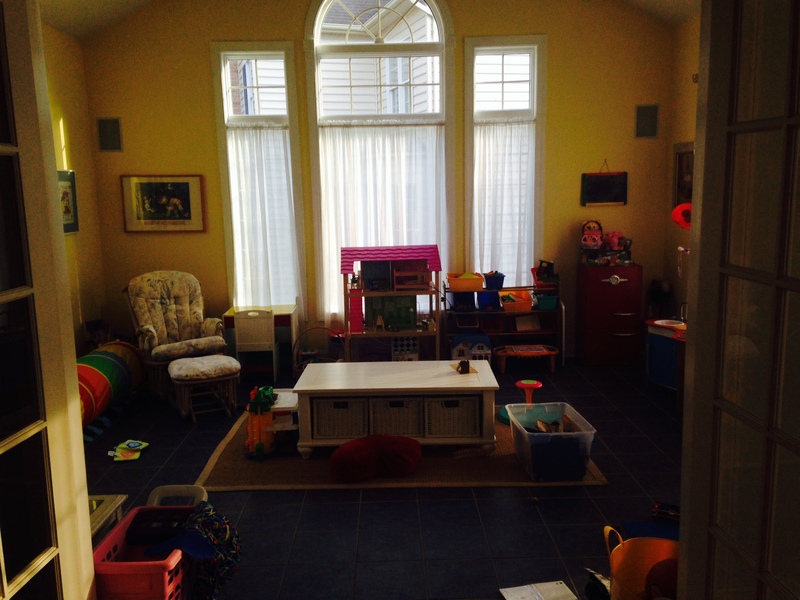 here’s the playroom, in which the children are supposed to be always present. But much like my office, this is an awesome but seldom used storage zone that needs to be both heated and cooled. 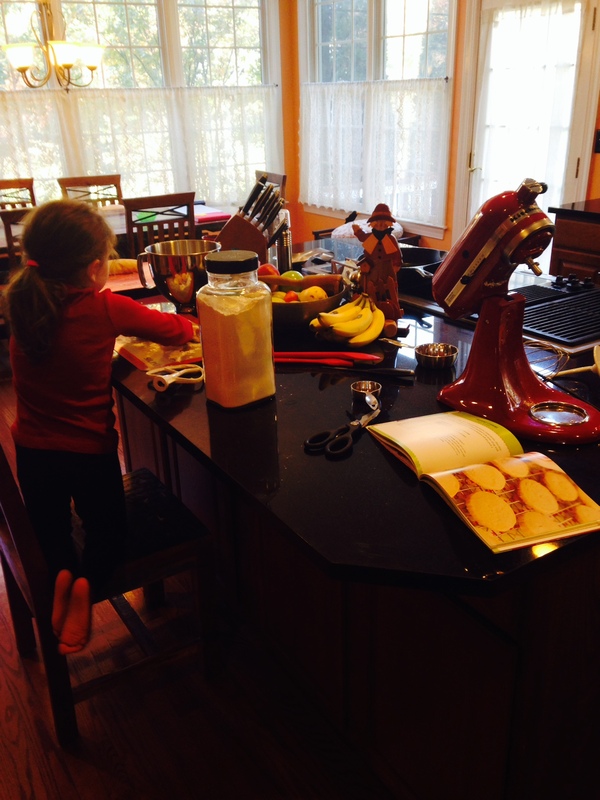 There are already dance grooves worn around the kitchen island and fingerprints on the margins of every counter. Who puts in black counters?? I would say someone without kids, but the prior owner had five. Don’t know what they were thinking, but maybe their kids were less grubby-handed than ours. Speaking of which, the kids didn’t need a single second to “adjust” or “acclimate” to this house. They took to it immediately, and even Aaron already knows every nook and cranny (especially Aaron, actually). 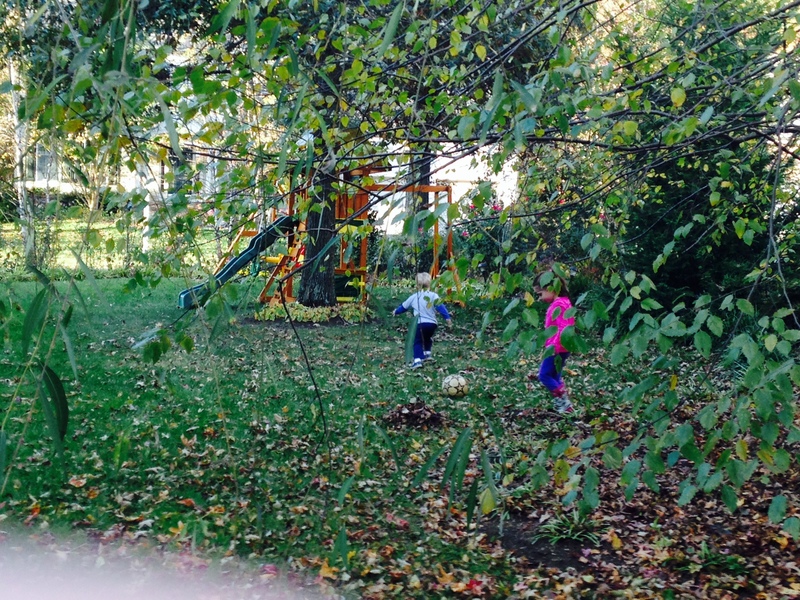 They finally have their much-desired play structure and back yard, and maybe someday soon they’ll have their much-dreamed of snow. Next week… our first Thanksgiving here, and the month after, our first Christmas. I’m asking Santa for Rachel’s school experience to be wonderful, my office to get some serious usage, and for 4pm to be the new 6pm. But, even barring all that, I’d say we’re still doing pretty okay. 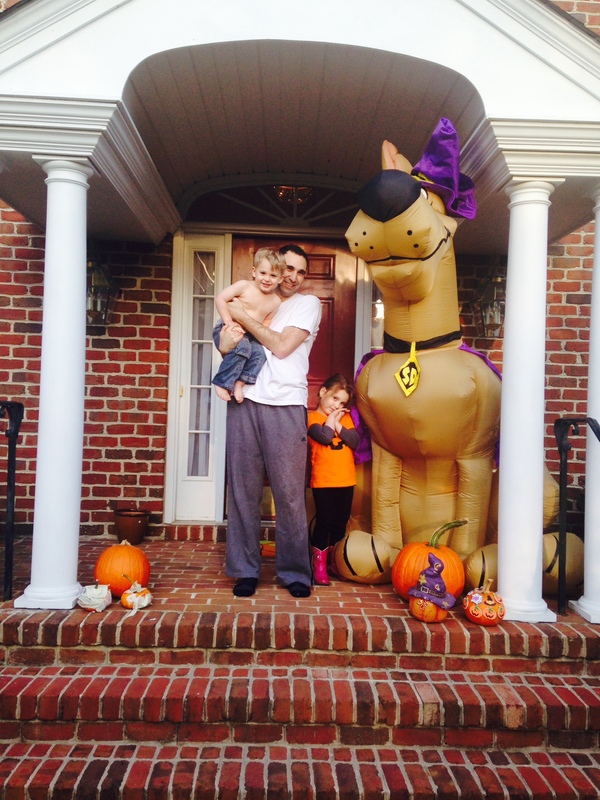 This entry was posted in Leaning In at Home and tagged Family, Maryland, Surviving is Thriving. Bookmark the permalink. Oh this is just what my heart was longing to hear!!! 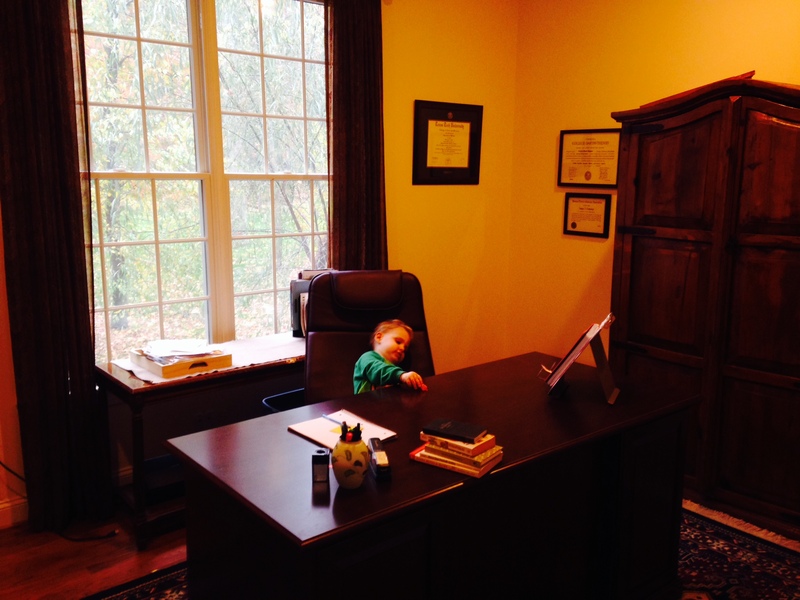 So happy to “see” you settling in… but I’m sorry things have been so very hard with R’s preschool! Grrrr! Thanks, Bronwyn. I’ll keep you posted on the preschool issues. I know you know the importance of school for a 4yo. It’s just overwhelming knowing one’s child is not in the optimal setting! Thanks, Lesley! YES, good childcare makes all the difference in the world. I’m so glad you worked yours out! It’s a world changer/life saver.